I look at the long-term value in my work, and therefore I look at the relationship with my clients as long term as well. I am constantly looking at the choices my clients need to make, and how I can assist them in making the best choice. I have worked for some of my clients for more than 15 years. My work, and that of my team, is based on confidence and trust. For me, these are the key values that I bring to my clients. Working daily with clients we try to achieve the best results. Last year we achieved savings for one of our clients, active in the High End Industry, based upon a 10 years' lease for 6,000 sq.m. of office space up to € 2,5 milion. Both in cash incentives as well in contributions for refurbishment. I am in the business for more then 30 years I have a long list of clients which I worked for or still working for. These clients are: Philips Lighting and Healthcare, Fluke, Emerson Process management, Arkin, Vestia, Laurens Care, JCDecaux, Amstelring, Nvidia, ING Corporate, Rexel Nederland, Vluchtelingwerk Amstel tot Zaan, KNAW, PA Consulting, Informatica, Aon, Avery Dennison, Stichting Arq, Pentair, ISD Bollenstreek, City of Amsterdam and many other clients both in the Commercial industry as well as the more social oriented organizations. I graduated from high school in 1982, and from there continued education in the economic and legal direction. Upon completion of this degree, I went on to study law for one year. At this time, I stopped with Law, and in 1986 began to work for Boer Hartog Hooft in Amsterdam, which then went to merge in November 2010 with Colliers International. At BHH, and Colliers International, my real estate education began, and continues to be interesting to me. After the merge with Aos we created a large team specialized in the end users. Within this team, Occupier Services, we have architects, project managers, workplace advisors and real estate advisors in house. My specialism is being a real advisor. Combined with the skills of the other specialist we create really nice business cases for our clients. I am a member of the Dutch Association of Real Estate Agents (NVM), I am registered as Real Estate agent and Valuator in the so called VastgoedCert., Joined SIOR since December 2011. I am the compliance officer for Colliers in The Netherlands. Marjon has been a corporate real estate consultant for more than 20 years. From the start of her career up and until 2012 she worked for DTZ Zadelhoff. She started in the corporate Real Estate department and from 2003 as Associate Director of the Corporate Real Estate department. ​Marjon joined AOS in 2012 to lead the Business Unit Real Estate Services team. In October 2014 AOS Group merged with Colliers and Marjon became partner|director of Corporate Real Estate Solutions. Marjon’s experience and expertise include Strategic Real Estate Plans, Portfolio Optimization, Tenant Representation and Boardroom consultancy. 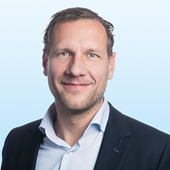 David joined Colliers (AOS Group) in 2010 and is recognized by his strategic multi-disciplinary approach, which makes him a connector between various knowledge areas within the field of corporate real estate consultancy. He focuses on aligning (future) organizational needs and real estate possibilities. In addition, David always strives to incorporate trends and developments from today’s environment in his work to meet future business and workforce demands. Never stop improving! Jacqueline started her career in 1991 at DTZ. 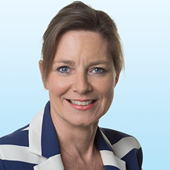 In 1998 she was asked to join a new real estate company which became Colliers International The Netherlands in 2001. She was closely involved in the growth and expansion. Jacqueline’s career is now focused on tenant representation and advising international and corporate clients. She has served the needs of clients like Bosch und Siemens, Embraer, Mattel, Philips, ING, L’Oréal, Aon, ServiceNow and many others. Real Estate Consultant with broad (>20 years) experience in advising organisations (occupiers) in accommodation , corporate real estate matters and dealmaking. Specialties: Tenant representation, transaction management, client management, strategic accommodation plans, masterplanning, portfolio analysis, asset management, corporate real estate management. 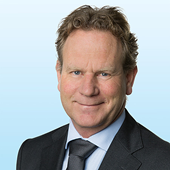 Harold Coenders is Director of Corporate Services Netherlands. Harold is an expert in developing innovative workconcepts linked to the productivity of the workforce and in organisational cultural change programs. A go-getter who gets the impossible things done. 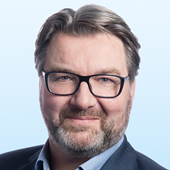 Lennard has some 10 years experience advising organizations in the creation of real estate- and housing strategies with issues such as functional and financial efficiency and translating organizational goals and objectives for housing objectives and development for (innovative) housing concepts. As consultant in the field of real estate and workplace concepts he is involved with work processes and their needs in various branches. Combined with his great knowledge in the field of new ways of working together and communicating, this results in future oriented work situations, on portfolio as well as on location level.